I always considered myself a planner. 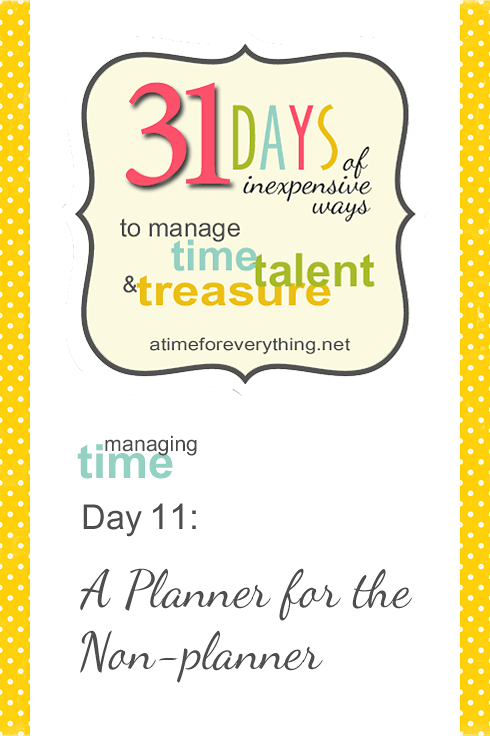 I love to make lists and create systems, so I perceived myself as a person who likes to operate on a schedule. And I’m pretty sure everyone else thought the same. But I’m not. And it took me until age 44 to truly see that. has resulted in failure and feeling like a complete loser. I’ve realized that my love for lists is not a result of being a natural planner but of needing a way to create some calm out of the chaos that is my brain. It doesn’t stop, and I have to have a tangible way of bringing some order to all the thoughts and connections that are swirling around in there or I’ll go crazy. The key is that it has to be flexible and serve as a general guide as opposed to a schedule. Enter a very scaled-down and simplified version of bullet journaling. Converting to this method has revolutionized how I plan my days. No longer do I stress over super specific planner spaces that aren’t being utilized or the fact that I’m not sticking to a mapped-out schedule. With this style, I just list the things I would like to (or need to) accomplish that day as well as events that I know are happening at a set time. When I complete a task, I fill in the circle. If I don’t complete it, I draw an arrow through the circle and move it to a different day. This is literally the first time I have used a planner for more than a few weeks without giving myself up as a lost cause. I used to view my failure to adhere to a schedule as a lack of discipline, but now I see that it’s simply the way I’m wired. I am far more productive and peaceful if I have the flexibility to change gears and move in a different direction when I’m feeling inspired or motivated. Obviously there’s a time and place for concrete commitments (such as appointments or activities) and routines (such as spending time with God first thing in the morning because otherwise I know it’s not likely to happen), but beyond that, my sweet spot is found in options and improvisation in the context of loose plans. I intend to share how I use my planner in much more detail in December and will also include a video tour along with links to the printables I use for the contents. In the meantime, if you are interested in the weekly pages pictured above, they are a free download (yay!) from The Handmade Home. Yes! It’s funny, even bullet journaling is too structured for me in its entirety with all the different notations. (Yet it’s also a little too loose because it’s not laid out in calendar form at all. I need that weekly visual.) This version has been just perfect, and I’m so grateful to have stumbled upon the concept AND found a cute printable that can accommodate it so well! Oh my goodness!! I think this sounds like me!! I can’t wait to read more. From one Melissa to another – THANK YOU!!!! You’re welcome, Melissa! I’m excited to share more once I get through the holiday production season and start moving into the new year. This is a great perspective! I agree with you and I think that I am wired that way too. A really full calendar can be stifling. I am very much like you. I like to have routine, structure and to write lists, but if it gets too specific I feel paralyzed. It is almost as if I can’t do what I need to do if it isn’t at the exact time I wrote down. So, when something comes up, which it inevitably does when you are a work at home mom, I would become frozen. I couldn’t do what needed to be done because it wasn’t “time” for that, but I also couldn’t do what I was “supposed” to be doing because something else had come up for that time slot. 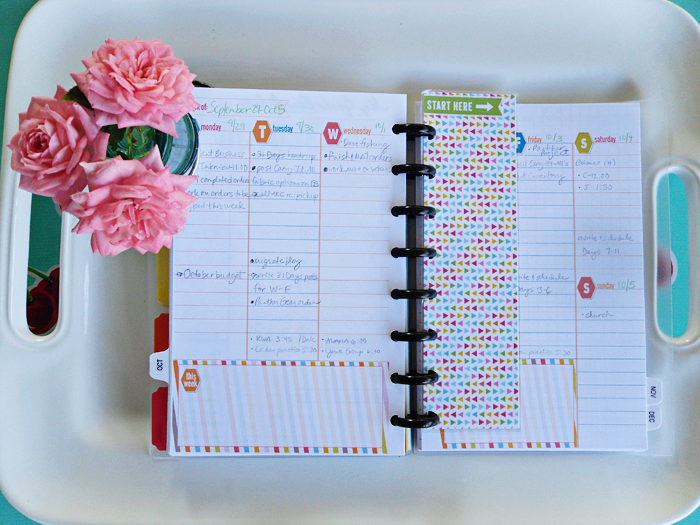 I started using an Erin Condren planner and I love it! It is broken up into morning, day and night. I write down household items in the morning, blog stuff in the evening, and kid related stuff in the evening, since this is the usual time I do things. Nothing is set in stone, and it feels to me like it can really be done any time of the day! It has definitely helped me a lot. You’re my soul sister! I never knew it could feel so freeing to have someone else understand your planning quirks and put them into words. I completely relate to the whole paralysis thing. It’s like I don’t do well being too scheduled yet I feel this huge pressure to stick with it when I am. And I end up completely frustrated and feeling like I’m spinning my wheels. I also hate scribbling things out, which is why I always plan in pencil and have never gotten into the pretty color-coding thing. It’s also a reason I appreciate the bullet journaling concept of moving a task to a different day with an arrow. My planner isn’t specifically divided into times of day like your EC, but it’s divided into general sections in my head. It has worked so well for me. I am the exact same way!!! I took the Kolbe test and figured out why I’m that way. It’s been so freeing to discover my strengths. I had to pay for that test and was skeptical but it’s one of the best things I’ve spent money on.